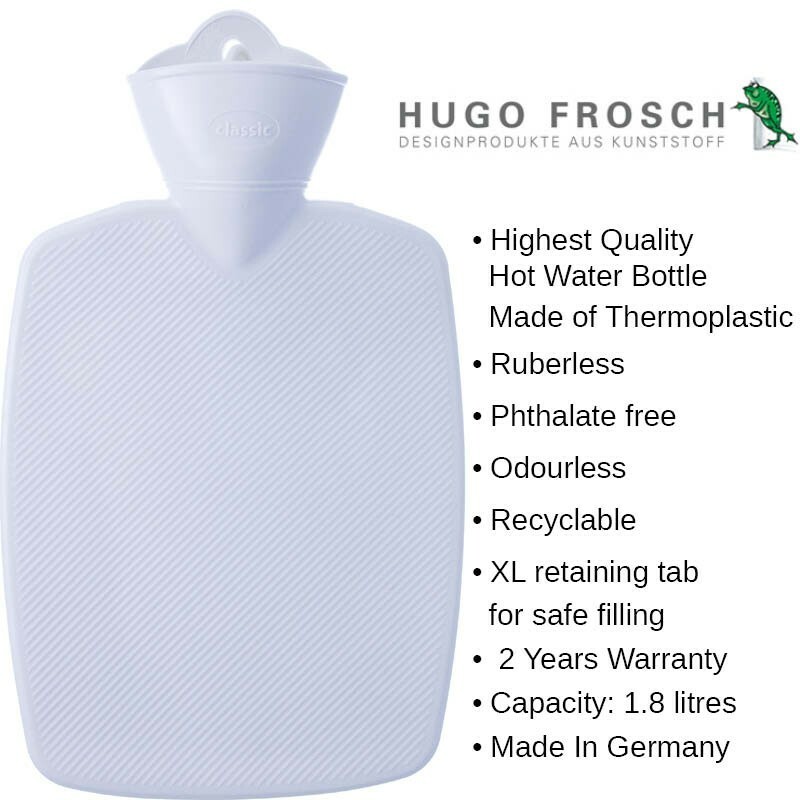 Steeped in retro motives, Hugo Frosch hot water bottle in luxury double fleece cover is the new source of warmness for those who like the good old style of keeping warm on a cold day. 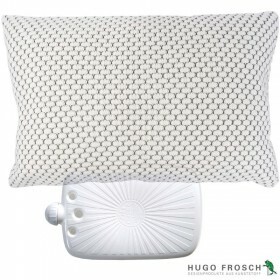 Crafted in Germany, it offers the best possible quality based on technological advancements and the finest materials. 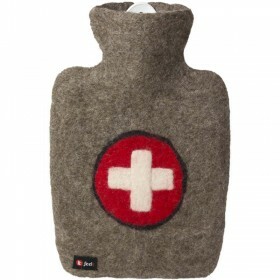 It is made from high grade thermoplastic and comes with two years water tightness guarantee. 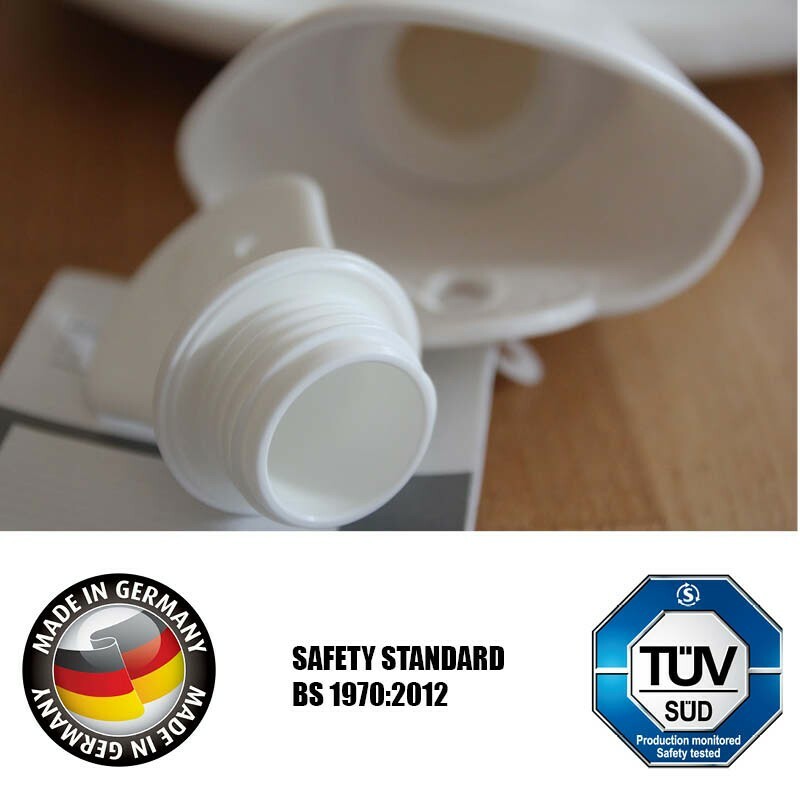 Its superior safety properties have been independently tested and proved by the British Standard BS 1970:2012, so you can use it with peace of mind that it won't leak. And premium quality doesn't stop there. 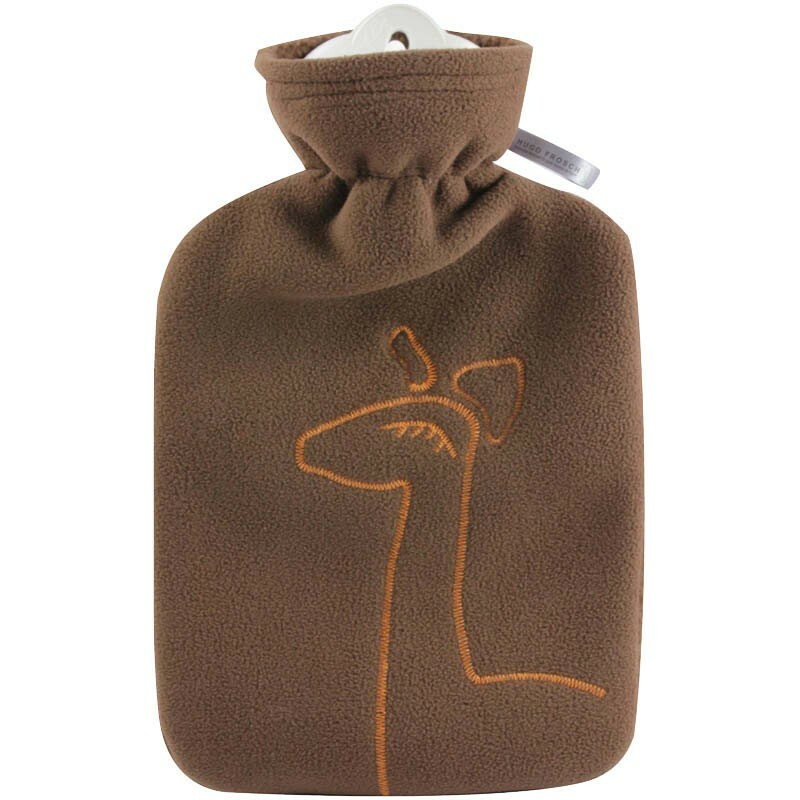 Beautiful fleece cover in rich chocolate tone with a contrast giraffe embroidery gives it a retro touch and feels very soft and pleasant. It's an ever-welcome gift for a birthday, Mother's Day or Christmas to help your loved one stay warm and enjoy the beauty of winter days. Please refer to the user's guide attached to each bottle for correct use and maintenance tips. 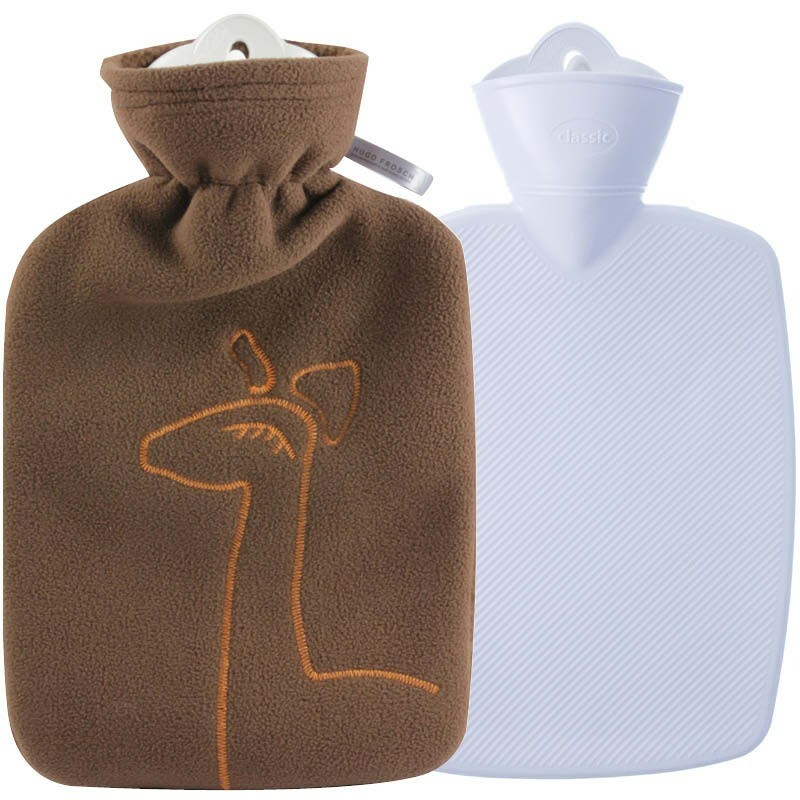 Thick double fleece cover in rich chocolate colour feels soft and comfy, with the giraffe embroidery adding an element of distinction and style. 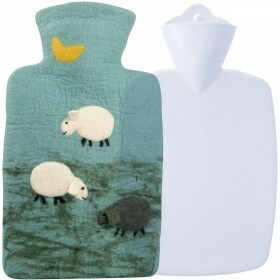 The cover is removable and washable at 30C.